I'm pleased to have just launched a new website for public works, a group I've been working with for over 3 years. Indeed this website was actually completed about 18 months ago, but the very busy people at public works have struggled to keep up their ambitious ideas of creating a comprehensive project archive whilst also creating a massive body of new works. Indeed I've collaborated with them on about 5 projects over the time this project has gestated, and, in pixar style, there have been 2 project babies! It's a lesson that I try to take with me to every project - data entry is a huge task, especially when it comes to collating historic information that only exists in people's memories and can't easily be given out to a junior member of staff to create. 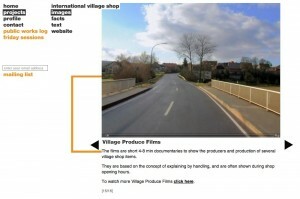 For this site that's combined with trying to find a way to present the project as much as a process as in texts. 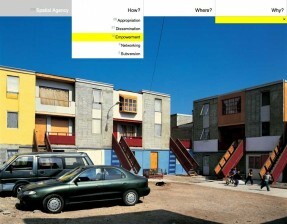 Spatial Agency is a project by the Agency unit based at Sheffield University School of Architecture, looking at alternative architecture practises and how they are interconnected. The website is a home for an ever growing database of organisations, projects, publications and events and their interconnections, with the aim of providing a clear picture of what's is going on where. The first phase of the site has been up since September 2009, and the content is slowly being refined and published as each record is completed. 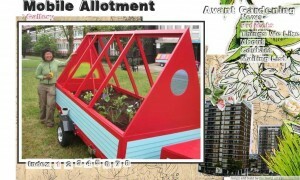 Launched in late 2009 www.avantgardening.org is a website representing an arts and environment project which encourages community involvement in environmental issues via a programme of events and activities. 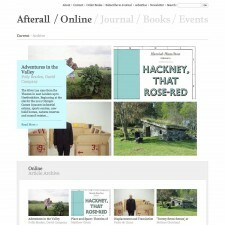 We've recently launched the new website for contemporary art journal and research publishers Afterall, at www.afterall.org. It's been great to work with the team at afterall and with graphic designers AtWork, but without much time to breath it's now on with the next set of work, as well as extending out some of the features on this over time. To coincide with the launch of Fugitive Images' 'i am here' installation we have created a website to represent the project and provide some background on it. The website is a launching point for further documentation of the redevelopment of Haggerston Estate and it's effect on those living there, the surrounding area and the people who occupy the redeveloped space, and will extend and expand over the next years. We've been involved in realizing a virtual representation of the installation, and looking at how the stories behind the project can be extended on-line, as well as a bit of graphic design.